Hello Beauties! It seems like Spring has finally sprung, and with that comes a million and one new releases from just about every company out there (I'll be bringing you more of these throughout the week), and today I thought I would share with you some of the new products to Fragrance Direct. If you're not familiar, Fragrance Direct is a discount perfume and cosmetics online store which are known for stocking some of the most popular fragrances and brands such as Essie and OPI at largely discounted prices. Before I start reviewing these, I'll just point out that I am no fragrance expert but I'll do my best to describe the scents! First up is one for the boys. 'Hugo' by Hugo Boss is by no means a 'new' fragrance as it was originally launched in 1995, however it is new to Fragrance Direct. Hugo contains top notes of Grapefruit, Green Apple, Pine Needles and Basil, along with base notes of Moss, Sandalwood and Suede. I'd say this was quite a masculine scent and smells a lot like cinnamon in my opinion, while still being quite refreshing. The scent comes in a simple bottle, designed to look slightly like a hip flask and is pale blue in colour, which I quite like for a mens fragrance as it's not too 'fussy'. Along with 'Hugo' for men, 'Hugo' for women has also just been launched and is now available at Fragrance Direct. 'Hugo for Women' has top notes of Italian Mandarin and Iris, with base notes of Sandalwood, Cedarwood and Amber. 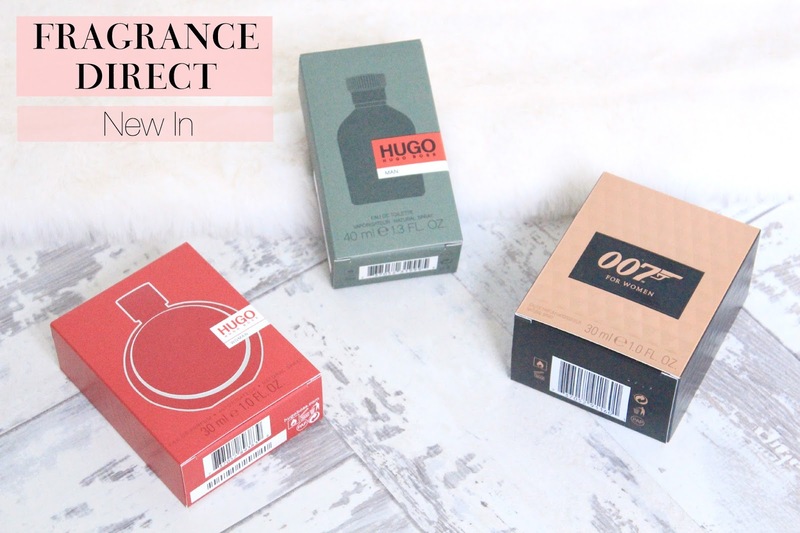 At first I wasn't sure about this fragrance, as Hugo Boss isn't usually my 'go to' when it comes to perfumes, however after a couple of wears it has really grown on me. It's a beautiful fruity and floral fragrance and is just perfect for everyday wear. Lastly, '007 for Women' has also recently launched on Fragrance Direct. 007 for Women is a fragrance supposedly inspired by the iconic women seen in Bond films and therefore is quite an oriental seductive scent. 007 for Women has top notes of Black Pepper and Rose Milk, and base notes of Sandalwood, Cedarwood and Amber. When I first saw this fragrance, I really wanted to hate it. I thought the whole James Bond theme was quite tacky and black perfume bottles really aren't my thing, but I can't help but love the scent. It's definitely more of a night time scent and is a little on the sweet side, which I think is why I like it. All of the fragrances mentioned in this post are currently available at Fragrance Direct here. What are your favourite perfumes? I'd love some inspiration for my next purchase! 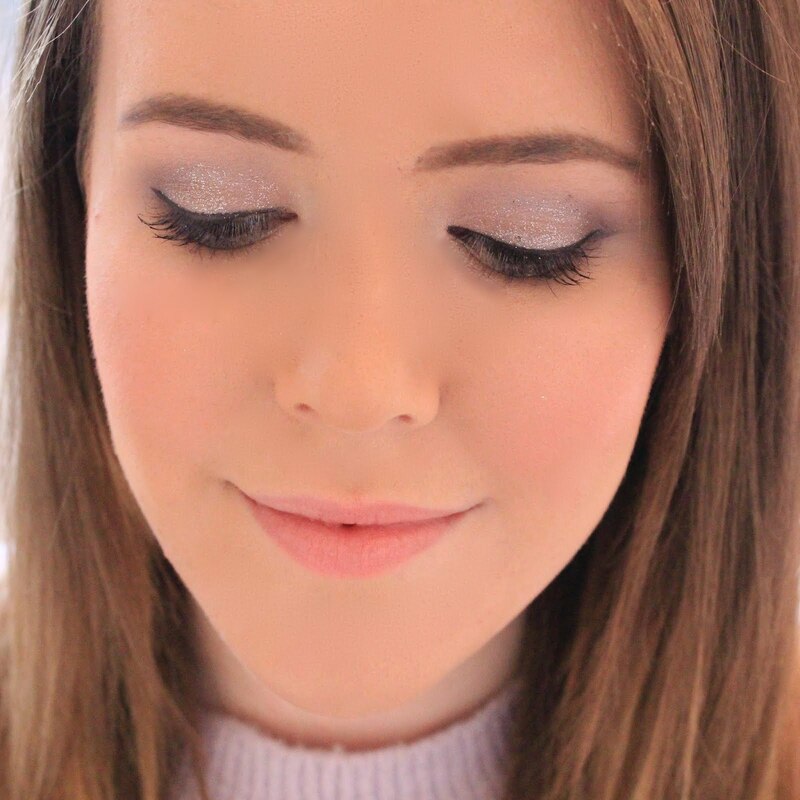 I thought the same about the 007 fragrance and was pleasantly surprised, it's even turned up in my Feb favourites! I hadn't heard of the 007 for women. How cool! My fiance has the one for men and he absolutely loves it. I've really got to stop sticking to one perfume, there's so many good ones out there! I love the new 007 perfume. A lovely subtle sweet oriental smell.